YIMBY, in a 4/6/19 post headlined Pilings And Excavation Begin At 37 Sixth Avenue In Prospect Heights, Brooklyn, pointed to a slightly revised design (left) for the building otherwise known as 664 Pacific Street, or B15, which will contain a middle school at its base. The initial design (below), by Marvel Architects, was unveiled in December 2015, but developer Greenland Forest City chose not to go forward with the market-rate rental building. The developer has since sold development rights to The Brodsky Organization. The building is located just east of Sixth Avenue across from 38 Sixth and the Barclays Center, between Dean and Pacific Streets. There are some visible changes in both the articulation and coloration of the building, plus--thanks to the perspective--a clearer sign of the significant box on the top to house HVAC and other mechanical equipment, which could add 40 feet to the 26-story, 272-foot building. Also note the four-story tree (!) just to the east of the building that obscures the small apartment buildings along Dean Street. The new design includes subtle tweaks to the elevations above the podium floors. The window arrangements are more neatly organized and aligned than in the first iteration from three years ago. The outside colors of the building have also been slightly adjusted to distinguish and divide each section of the structure’s massing as multiple indented and protruding volumes. 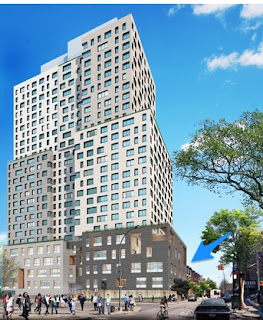 I'd add that the new rendering appropriately includes the outline of the much larger B5 tower--vaportecture, as Neil deMause calls it--slated just to the north between Pacific Street and Atlantic Avenue just east of Sixth Avenue. 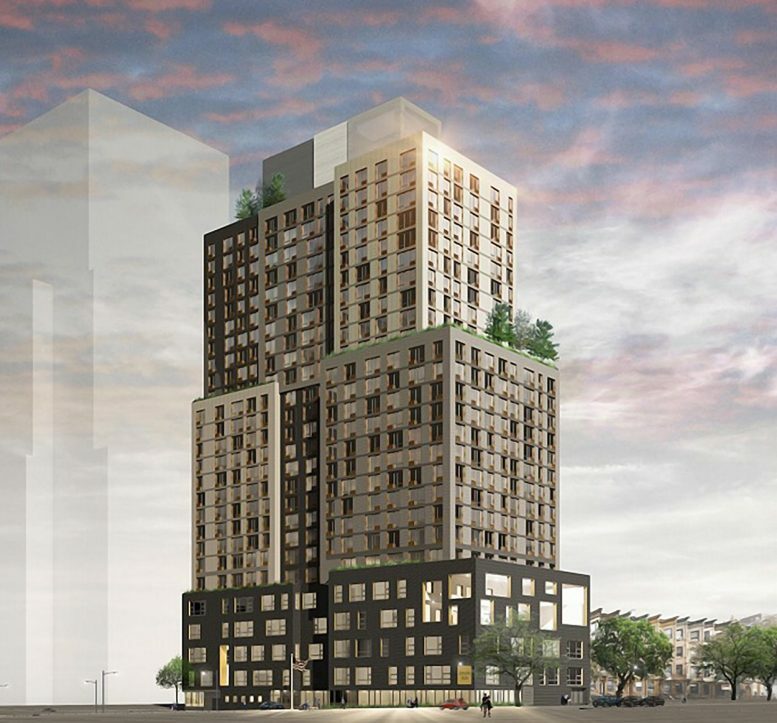 While the tower was once supposed to contain 336 market-rate rentals, now it's supposed to include 323 units, according to YIMBY and as noted by a permit. 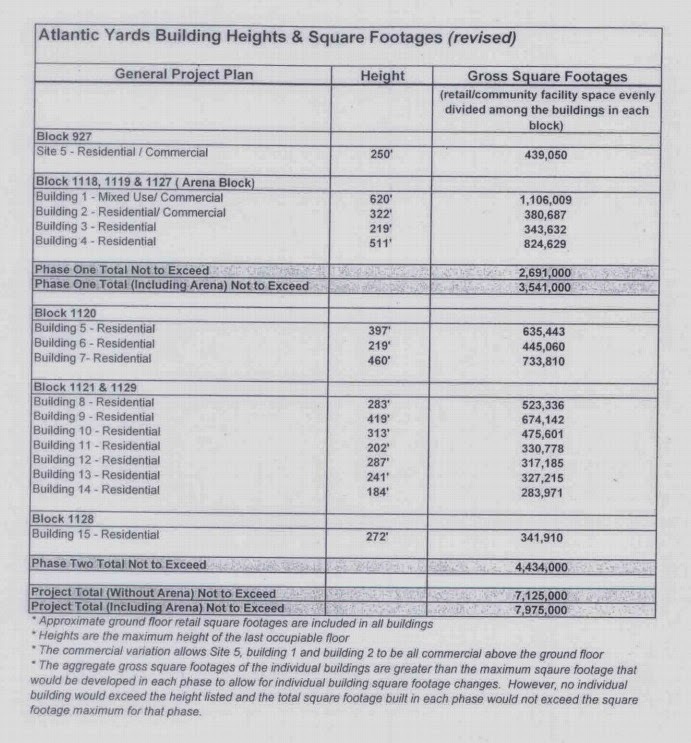 Then again, a presentation to the Atlantic Yards Community Development Corporation last month said there'd be 312 units, with 218 market-rate and 94 affordable. 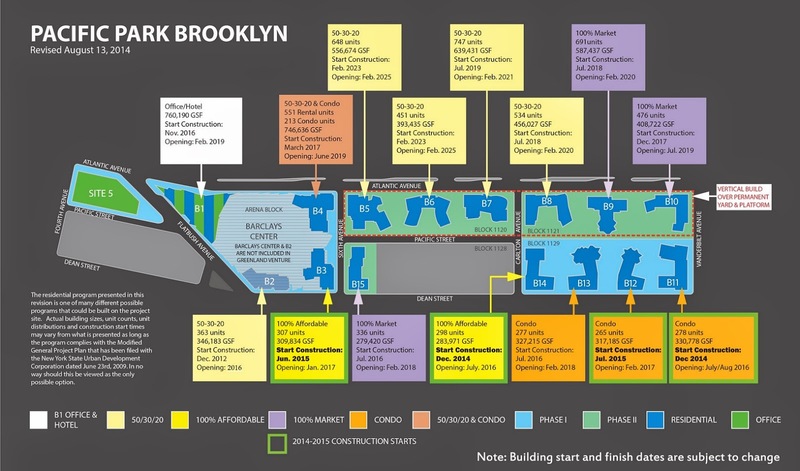 While YIMBY said "A formal completion date for 37 Sixth Avenue has not yet been announced," at the AY CDC meeting the building was said to be ready in Spring 2022, though the school isn't due until August 2022.